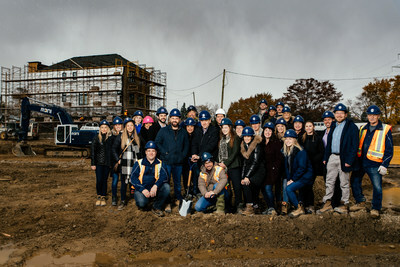 TORONTO, Nov. 12, 2018 /CNW/ - Minto Communities Canada ("Minto Communities") is breaking ground at Glen Agar, a new community of 53 luxury, single-family homes in Etobicoke – and employees celebrated this milestone on Thursday, November 8th as construction got underway. "Glen Agar offers a rare opportunity for buyers to customize a new home within a neighbourhood that boasts mature trees, green space, nature trails and parks," said Agnieszka Wloch, Vice President, Development, Minto Communities. "With both modern and traditional designs, homebuyers can choose from a curated selection of bespoke interiors including 9 foot ceilings, oak hardwood flooring and granite countertops, to name a few." 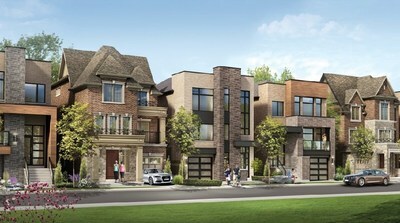 Located near Kipling Avenue and Rathburn Road, Glen Agar offers three and four bedroom floor plans ranging from 3,100 to 4,100 square feet. 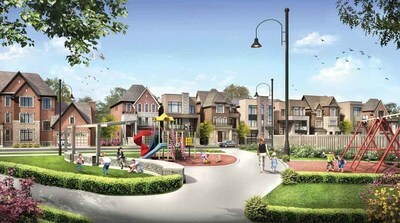 Starting at $1.4 million, the community is attractive to families and professional alike with schools, entertainment, shopping, highway corridors and Toronto Pearson International Airport within close proximity. Currently 60 per cent sold out, occupancy at Glen Agar is expected to begin in the spring of 2019 with the Fitzgibbon show home currently under construction, available for viewing early 2019. Interested homebuyers are encouraged to visit the webpage to register for ongoing updates and more information.